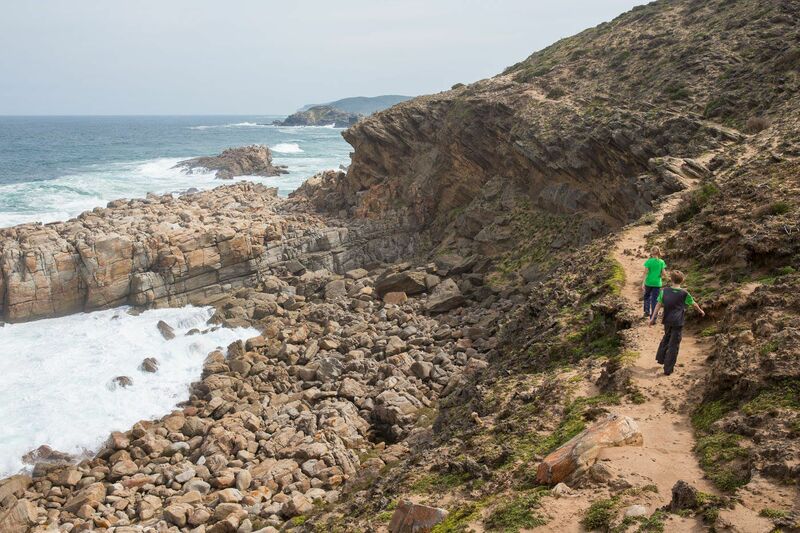 The hike around Robberg Peninsula is rated as one of the top things to do in Plettenberg Bay, South Africa. 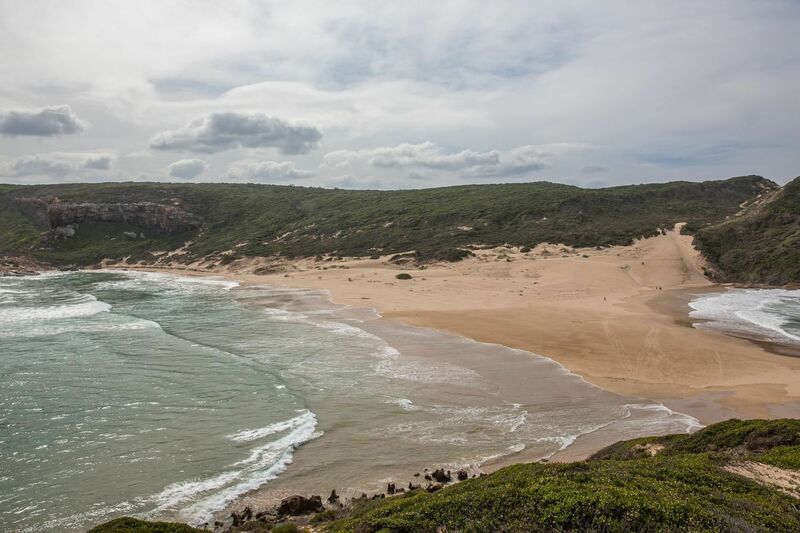 It is a 9 km hike around a peninsula jutting out into the Indian Ocean. 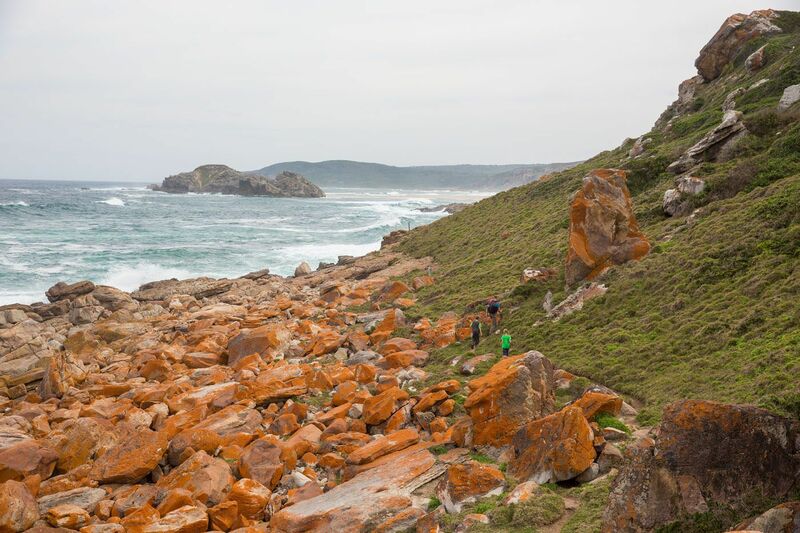 On this hike we climbed up and down the rocky coastline, hiked past a colony of seals, and wandered on a second, smaller peninsula made of sand. The best part of the hike was the ever changing scenery. Almost every fifteen minutes our views and the terrain we hiked on changed, making this one of the most interesting hikes we have done. 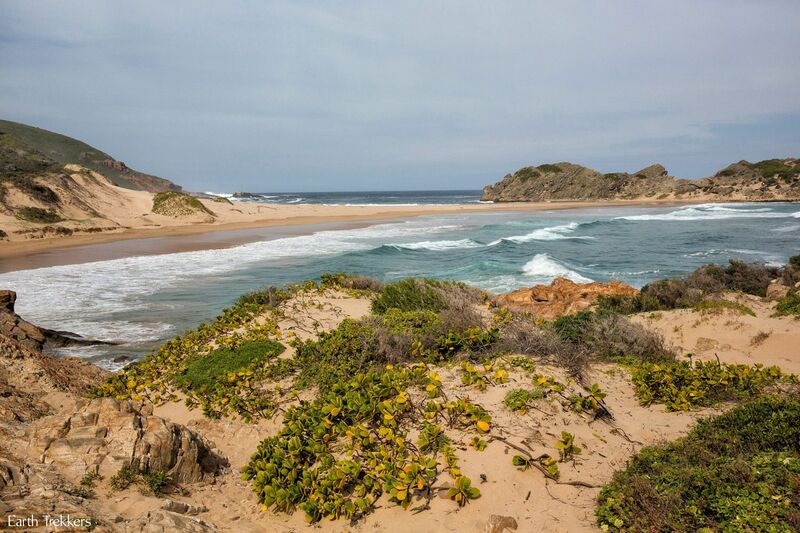 Throw in an almost secluded beach and whale watching and you have a fabulous hike. 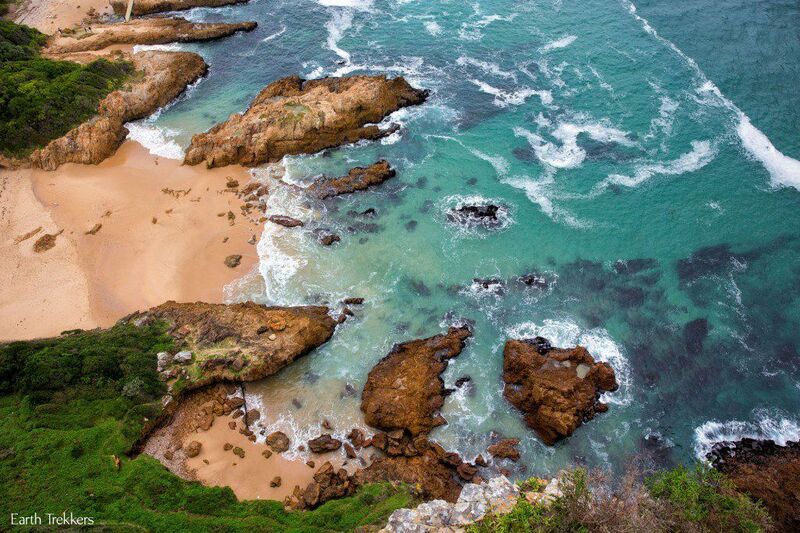 Location: Robberg Natural Preserve and Marine Protected Area in Plettenberg Bay. 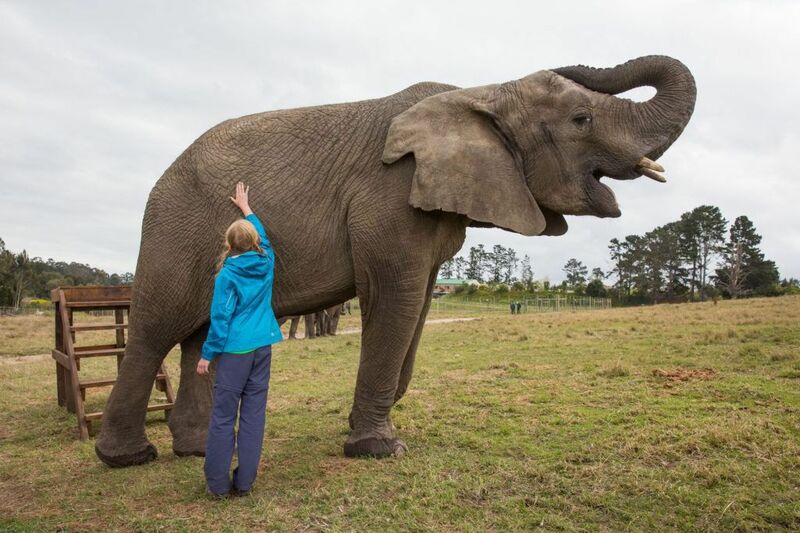 Cost: There is a fee of R50 for adults and R30 for children for admission into the park. 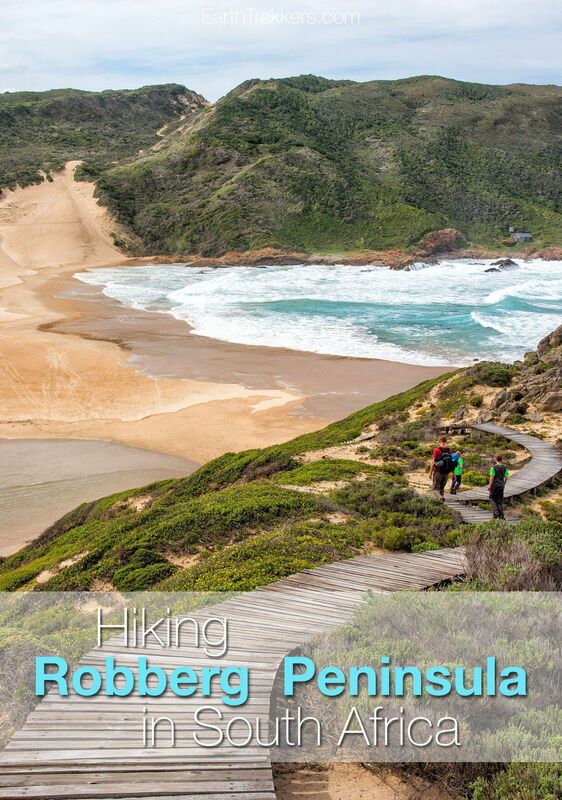 The hike starts on the mainland and takes you out to the tip of the peninsula. We hiked along the northern side of the peninsula, where it was warmer and there was not much of a breeze. 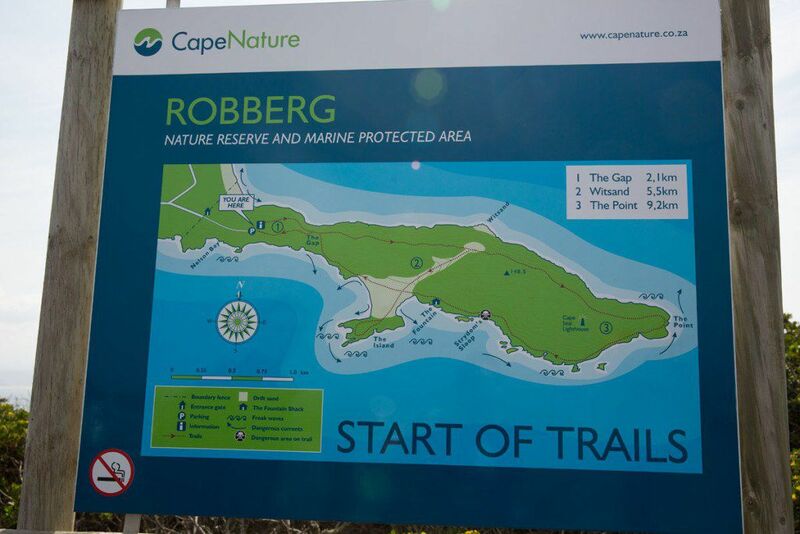 The hiking on this part of the trail was rather easy, along well marked trails and even some sections of boardwalk. Along this portion of the hike we spotted the seal colony. Actually, we smelled the seals long before we saw them. Even though the seals were located down by the water, at least 50 meters below us, the smell was horrible. I had no idea seals smelled so bad!! This terrible odor kept wafting up to us on the warm breeze coming up from the ocean. We did not stay long here…yuck! 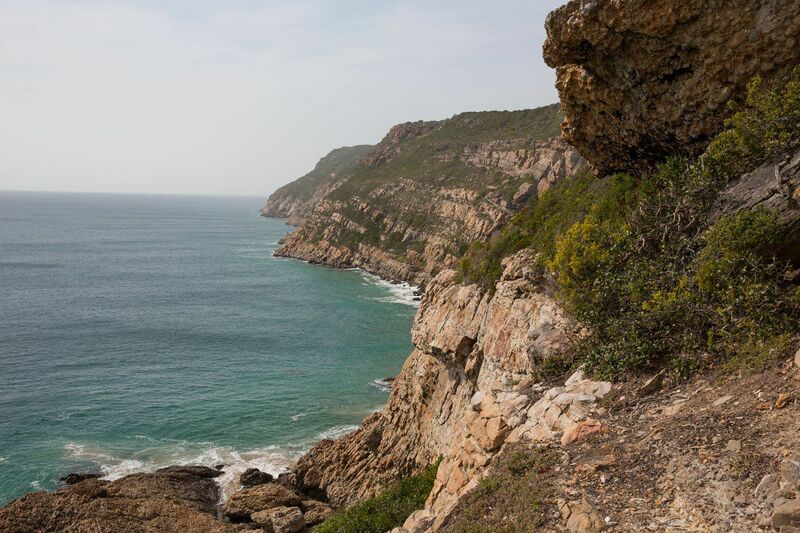 Once we reached the tip of the peninsula the hiking changed dramatically. The wind picked up, the temperatures cooled down a little, and the scenery became much different. 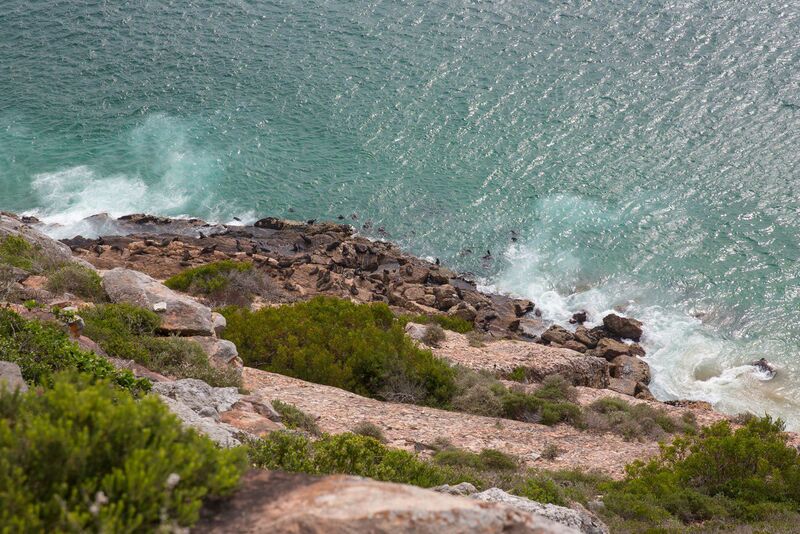 Now we hiked along the rocky coastline very close to the water’s edge. At times we would get sprayed by the sea and we could still spot the occasional seal. Unfortunately, we never did see whales or dolphin, which is common at this time of year. 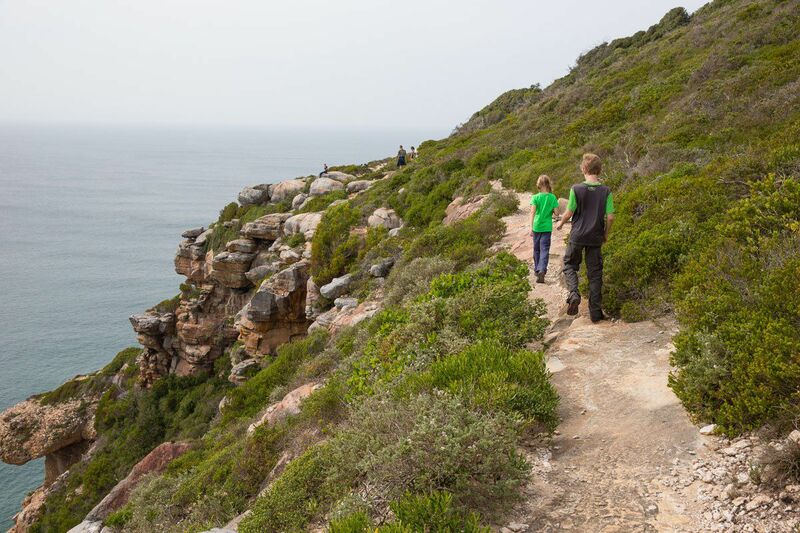 The hiking now was more challenging, just what Tyler and Kara love. 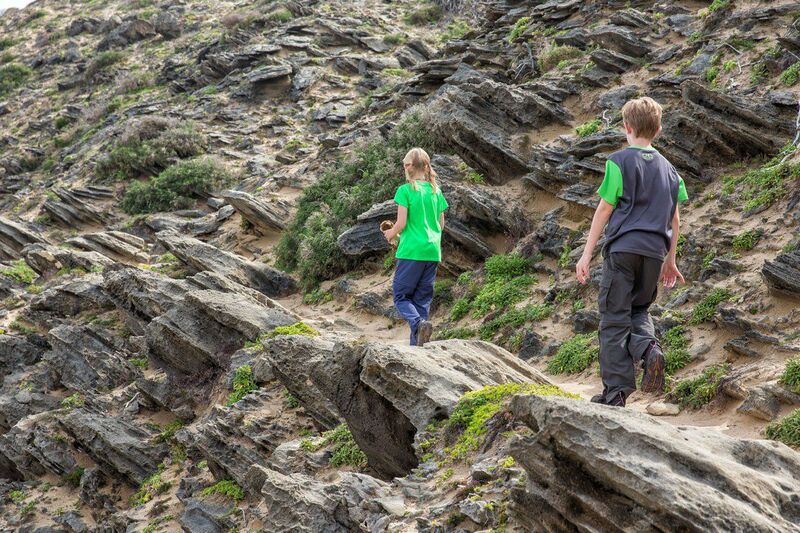 They love rock scrambling and climbing up the steep, rocky faces of the cliffs. They are very nimble and full of energy…I am beginning to have a hard time keeping up with them now. Our destination for lunch was a beach of sand that formed another peninsula connecting the main peninsula with a smaller island. We were trying to reach this point thinking it would make a good picnic spot. No matter how long we hiked it seemed like it kept getting farther away. Finally, we made it to the sandy beach and had it almost to ourselves. There were only a few other hikers wandering around. This is such a gorgeous place…why aren’t more people here? 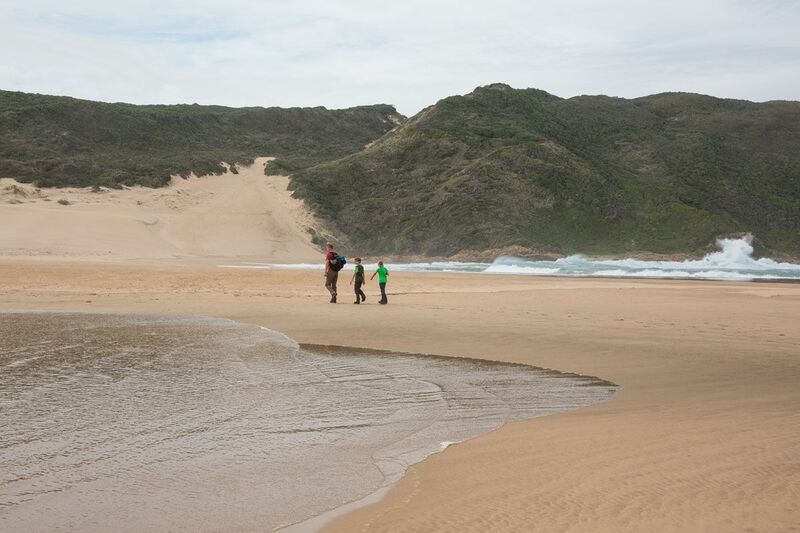 We were here in September, off season for visiting the Garden Route of South Africa. This meant cheaper prices and fewer tourists…wonderful! The only downside about visiting at this time of year is the weather. Wintertime here is chilly (60’s during the day and a little too cold to swim) with a greater chance of rain. However, the weather was perfect today! We ate our lunch on the beach and watched as high tide moved in. It is amazing here! 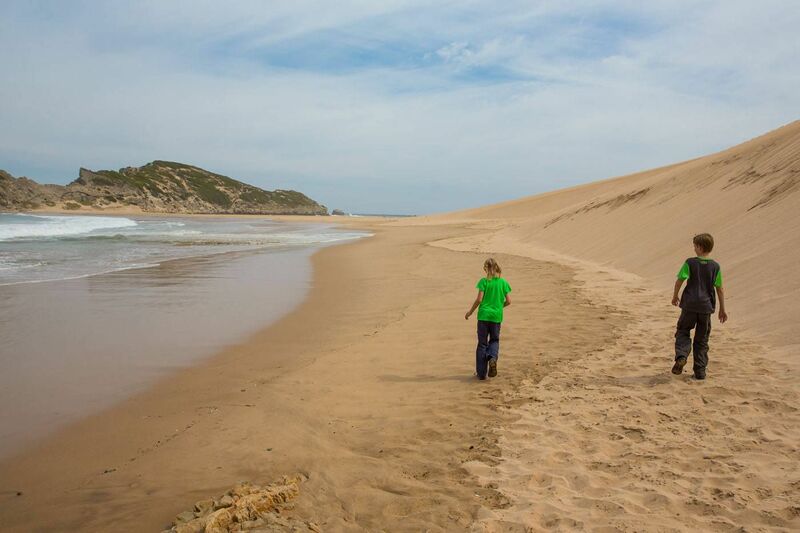 After lunch we climbed up the small island that overlooks the beach and Robberg Peninsula. We couldn’t stay long, unfortunately. With high tide the waves would eventually meet in the middle, covering our path back to the peninsula. From the beach it was only a twenty minute hike back to our car. The hike took us four hours, including plenty of time to stop for photos and for lunch on the beach. This was a spectacular hike. Tyler and Kara loved every minute of it (which is rare for them) and we all agree that this is one of the most interesting hikes we have done. It was just difficult enough to challenge us and give us a good workout and we all loved the short sections of rock scrambling and climbing. 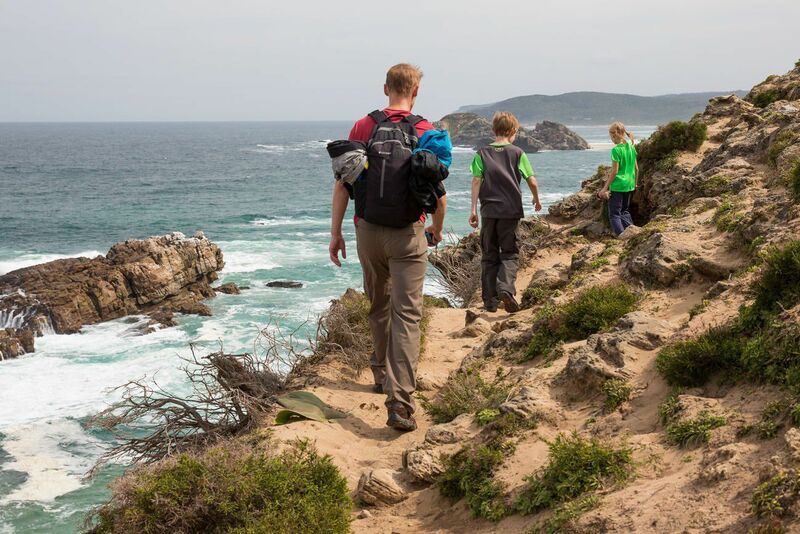 For anyone with plans to visit Plettenberg Bay or Knysna on the Garden Route, put this hike at the very top of your list. You won’t regret it! 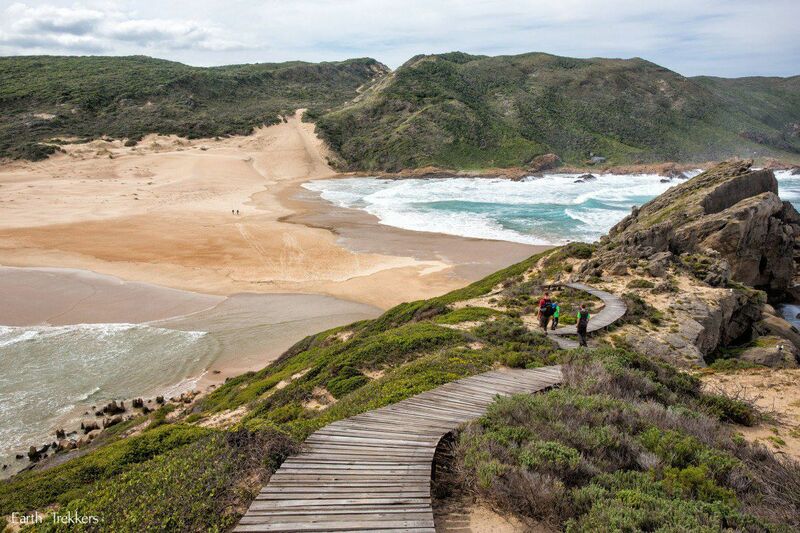 For four nights we stayed in the Panorama Lodge in Knysna, South Africa. The Panorama Lodge is a bed and breakfast. Our hosts, Dieter and Tina, made us feel right at home. 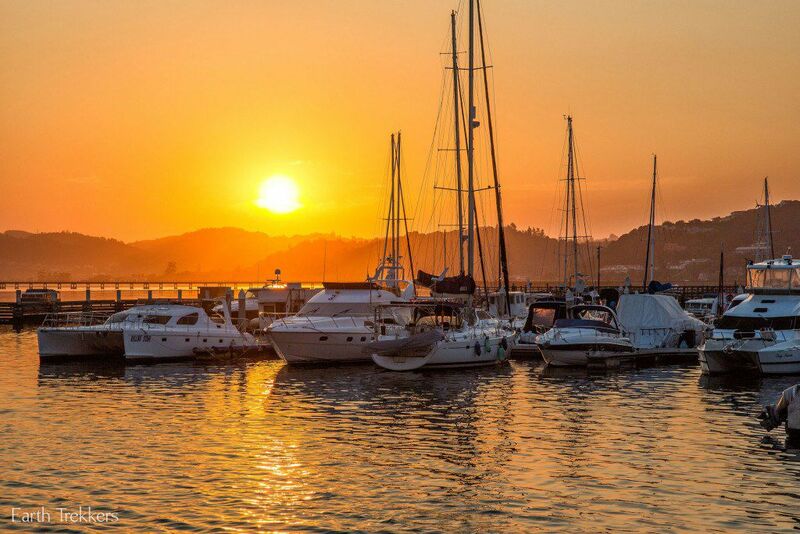 Every morning we were served a delicious breakfast and at night we would hang out by the fire, drinking wine, and enjoying the view over Knysna. Dieter and Tina made us feel like family and it was hard to say goodbye when the time came. This makes a great place to stay for families and we highly recommend the Panorama Lodge. 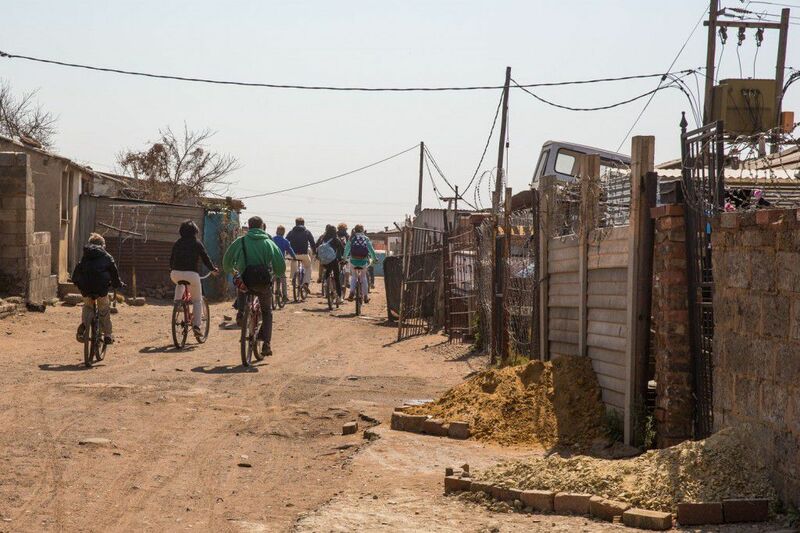 Planning a trip to South Africa? 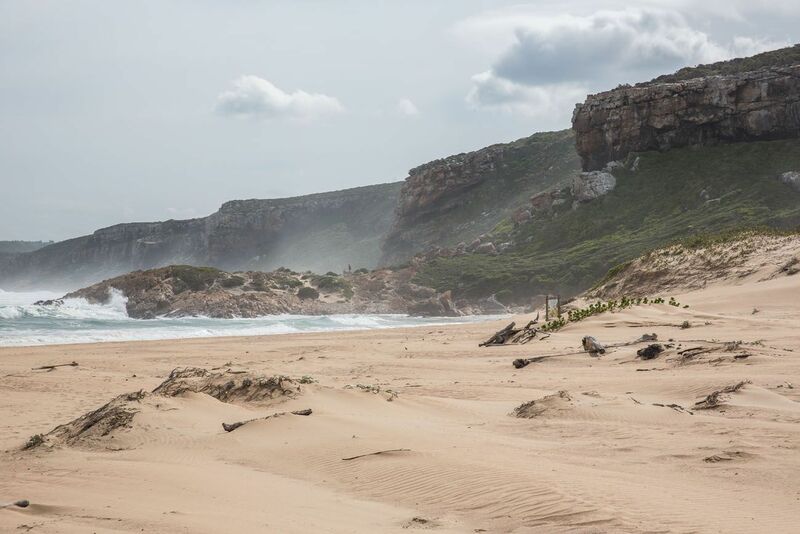 Read all of our articles in our South Africa Travel Guide. If it’s not one thing it’s the other. Today it was the danger of the incoming tide covering up your path back! You always add some excitement to the post! It does look like a great time and I love the cottage you stayed in for several days. I like the large portrait of the water buffalo in their living room!